Our next night takes place on April 7th 2018 taking place at Camden’s The Constitution. The night is a tribute to the late Mark E. Smith playing our favourite Fall tracks alongside collaborations, influences and originals of the songs The Fall covered so well. Plus the usual mix of indie, post-punk, alt rock and more. It’s free as ever! It starts at 8pm and the venue has extended opening hours to 1am. 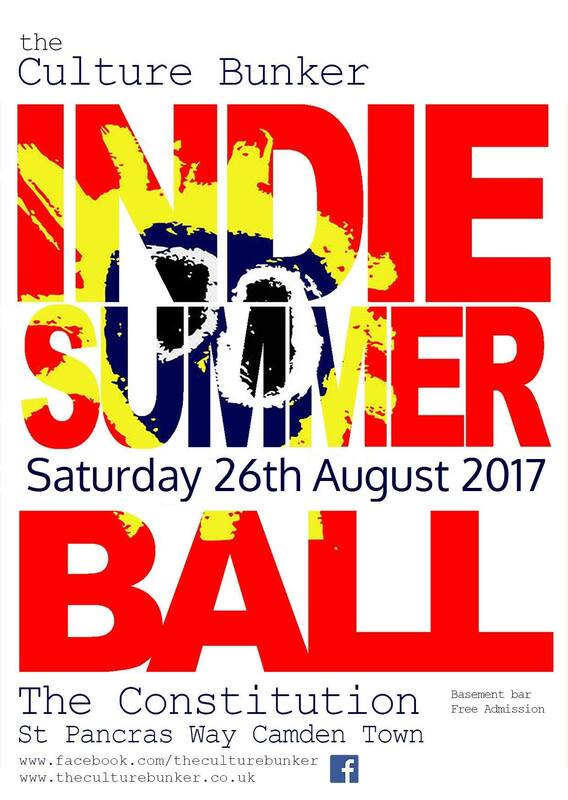 We are back at The Constitution for our indie summer ball on Saturday 26th August 2017. It’s free as ever starting at 8pm. Note that the venue has extended opening hours to 1am. Relive our last night in the comfort of your own homes, headphones, tablet, etc etc. via Mixcloud. The first Culture Bunker of 2017, and our 5th birthday, sees the bunker DJs pitting two northern giants against each other. Liverpool v Manchester. Joy Division v Echo & The Bunnymen, The Chameleons v The Pale Fountains, The Smiths v The Teardrop Explodes, The – well you get the pictures on our walls! Come and hear us play classics and rarities covering punk, post-punk, indie and alt rock from North by North West bands. We will be at Camden Town’s The Constitution once more. It’s free as ever and runs from 8pm to 1am. Guest DJ’s will be announced soon.